Lisa loves John: St. Patrick's Day Inspiration! 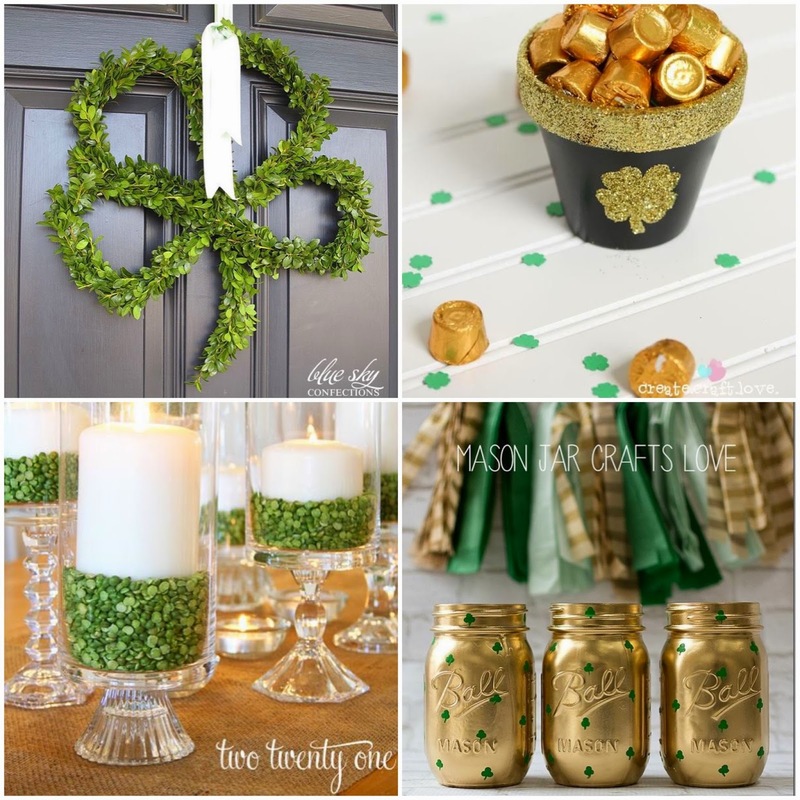 I’m not much of a St. Patrick’s Day girl, but I never miss an excuse for some fun and easy décor that can come up and down in only a week or two. Here are some fun ideas from Pinterest that are perfect for last minute decorations and place settings! 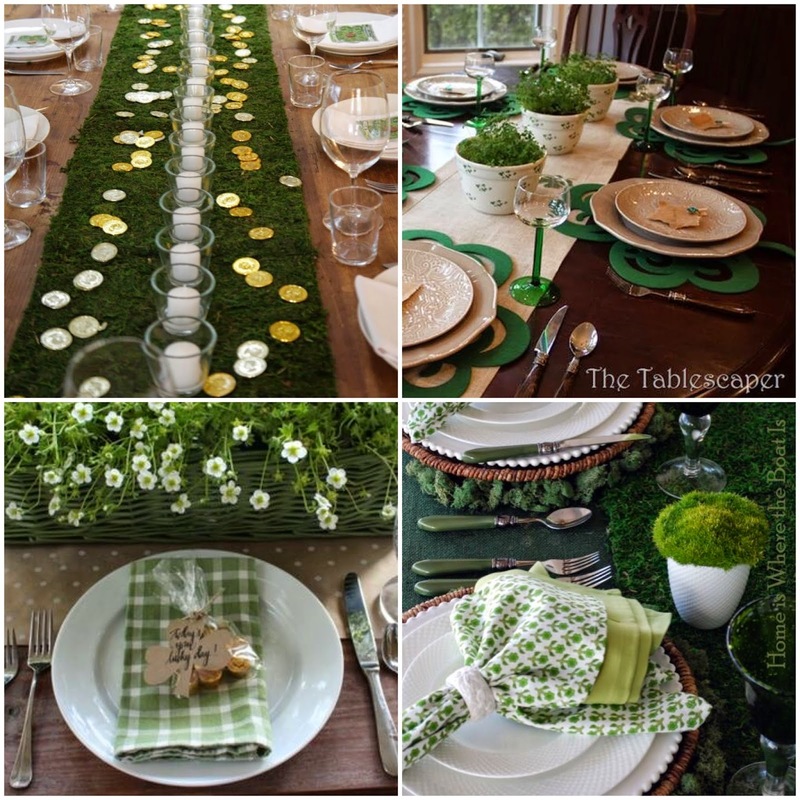 Youre definitely making me want to have a St Patricks Day party now with all of this fun inspiration. I love the green table runner with all of the candles and gold coins! I love the four leaf clover on the door! And the mason jars! Those mason jars! So, so adorable.. This is putting my lack of decorating to serious shame! Definitely pinning a bunch of these! Agreed, St Patricks day is such a small holiday, but any excuse to decorate or make festive treats and I'm down. The mason jars with the clovers are super cute. The clover on the door is so cute! And I love the mason jars...just can't do wrong with gold! adorable! i love the cute little wreath and those mason jars! The wreath is my favorite, followed closely by the table runner and the gold coins- so cute! I love that pot of gold with the rolos, in fact now it's making me want some rolos! Those candles are just adorable! Dried peas!? I'm with you, St. Patrick's Day is not my favorite, but I never pass up an excuse for some festivity! I love that table runner with the coins! Love the four leaf clover door decoration. So nice and springy! You’re making me wish that I went ahead and decorated for St. Patrick’s Day! I skipped right over and went to Easter! These are all so great – especially the mason jars!